Lawrence Seward. Acrylic and oil on linen. Painting from the 2017 Contact Hawaii exhibition at the Honolulu Museum of Art School. That juried exhibition this year runs April 6-21, 2018 at the same venue. In addition, for the first time, Contact Hawaii will include a Waikiki component from 5-7pm, Friday evening, April 6, 2018. PC_TD_6 (Pareo). Paradise Cove Art Collective. Latex paint on fabric. 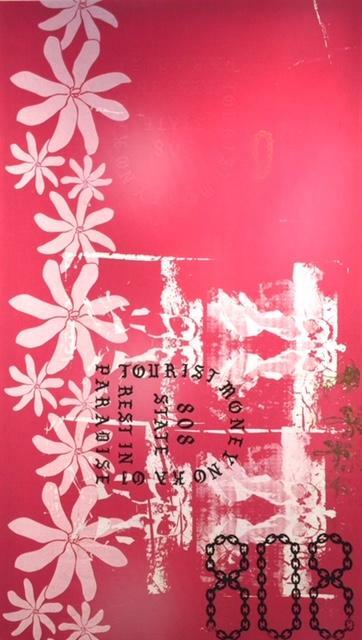 The Paradise Cove Art Collective originated the Contact Hawaii series of exhibitions in 2014, with the aim of sparking discussion and artworks around issues related to contact and connecting in Hawaii. 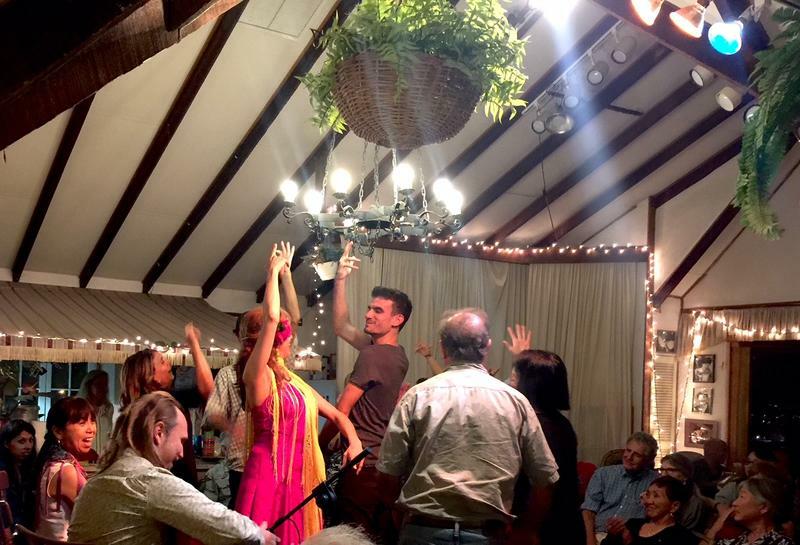 A chat about events in the Waikiki phase of Contact Hawaii 2018. Contact Hawai'i’s opening reception happens Friday, April 6, 2018 from 5-7pm at five venues in Waikiki. 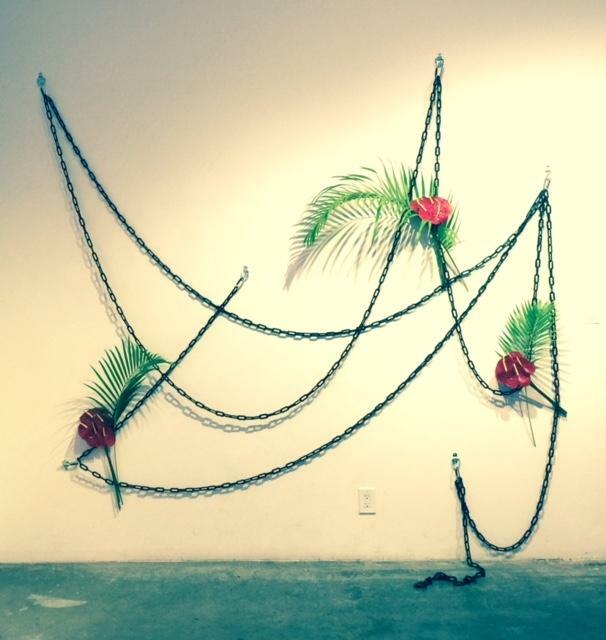 The Contact juried exhibition opens tomorrow, Saturday night, 6-9, at the Honolulu Museum School. All are invited. Art enabler Josh Tengan says there’s no better place than a tourist hub to explore issues of contact in the islands. Tengan: Contact is expanding to five sites in Waikiki specifically looking at exploring Waikiki as a contact zone. Hawai'i’s adventurous young artists will be infiltrating Waikiki tonight presenting artworks at DFS Galleria, the Sheraton Waikiki, and Saks 5th Avenue. There will be interventions on the street, too, says artist Marika Emi. She and Tengan are members of the Paradise Cove Art Collective which launched the annual Contact Hawai’i exhibitions five years ago to instigate discussion around issues of contact in Hawai'i. Emi: It’s just the idea of a street team promoting some kind of agenda on the street. Specifically in Waikiki there are the people that support the shooting galleries that are really popular with Japanese tourists. Emi: I wanted it to be fun and I’ve always wanted to have an aggressive street team promoting art and a show that is already about a contact zone, it seemed like the perfect opportunity to engage with pedestrians in that way. Tengan: On Friday night we’ll be beginning with blessing at the Contact Lei Stand at Royal Hawaiian Shopping Center. Visitors can come and grab a map to explore the various Contact Zone sites in Waikiki. The Lei Stand is to remind us of the real old style of giving lei for the love of it. And don’t miss vintage films and installations at the Surfjack. Paradise Cover Art Collective. Installation from a show at Ars Cafe in 2017. 01 | ROYAL HAWAIIAN CENTER • SIDEWALK KIOSK The Lei Stand • ARTISTS: Hula Hālau Ka Liko O Ka Palai This installation reclaims the Hawaiian tradition of making and giving lei freely and with aloha. HOURS: Tuesday– Saturday (6pm–8pm) while supplies last. 02 | SHERATON WAIKIKI • LOBBY Spirit of Aloha • ARTISTS: Jill Harris & Thomas Koet An interpretation of the tradition of lei giving, as a manifestation of the spirit of aloha, through sand sculpture. Mo‘okapala • ARTIST: PRIME A collaborative, hand-stamped mural. 03 | T GALLERIA BY DFS HAWAI‘I • ESCALATOR Mist Over Kaena • ARTIST: Taiji Terasaki A photography installation that captures the otherworldly environs of Kaena Point, as experienced while traveling up a two-story escalator. HOURS: Daily (9:30am–11pm). 04 | THE SURFJACK HOTEL & SWIM CLUB Hawaii #1: Amateur Travelogue circa 1950 PRESENTED BY: ‘ULU‘ULU: The Henry Ku‘ualoha Giugni Moving Image Archive of Hawai‘i Recorded by an unknown ﬁlmmaker, this home footage reveals the ‘Contact Zone’ of tourism and host culture(s) in post-WWII Waikīkī. HOURS: Evenings at dusk. Reimagining Waikīkī • ARTISTS: Aloha Got Soul, Mark Cunningham, Alina Kawai, Reise Kochi, Kelia Moniz, Joe Termini, and et al. Artist-reimagined penthouse rooms. 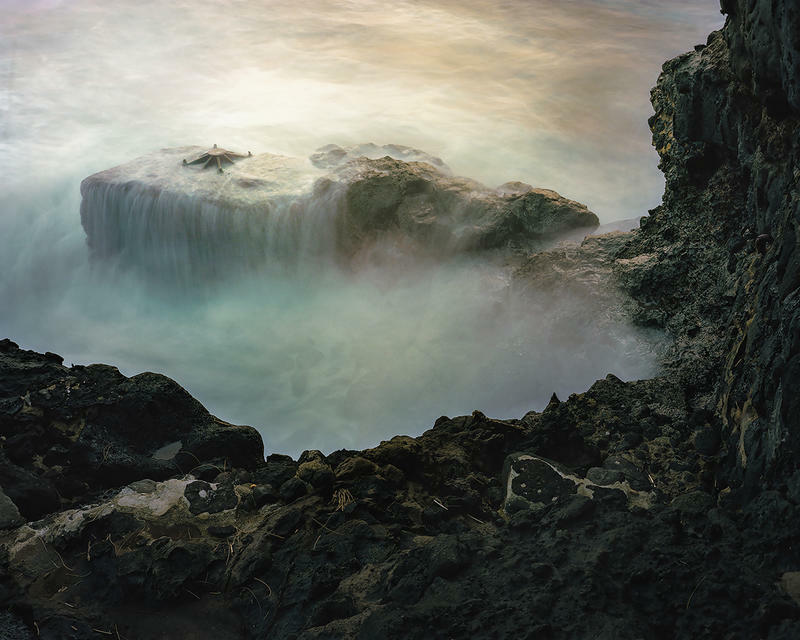 05 | SAKS FIFTH AVENUE Kipuka: The Edge of Things • ARTIST: Jan Beckett This photographic series captures the wahi pana (sacred sites) of Hawai‘i, as they [dis]appear today. TIKI • ARTISTS: Jared Pere with PARADISE COVE A sculpture that recontextualizes the production of culture. A companion art showing will open Friday night at the Hawai’i Theatre in Chinatown, Honolulu. 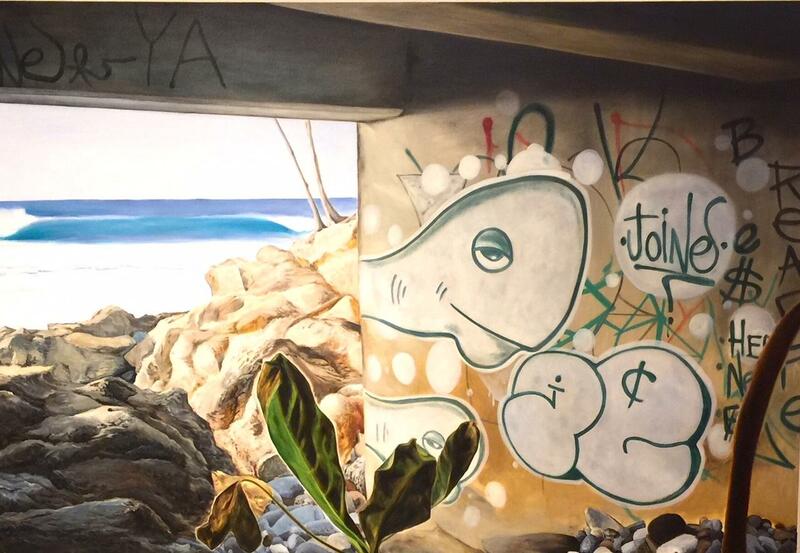 Solomon Enos is showing floor–to-ceiling murals depicting his vision of a possible future along Honolulu’s coastline. HAWAII THEATRE VIP ROOM / SECOND FLOOR 1130 Bethel Street • Honolulu, HI 96813 Pa Ma Mua — Future Foundation • ARTIST: Solomon Enos A ﬂoor-to-ceiling mural that imagines a cultural reckoning of future sea rise along the Honolulu coastline. 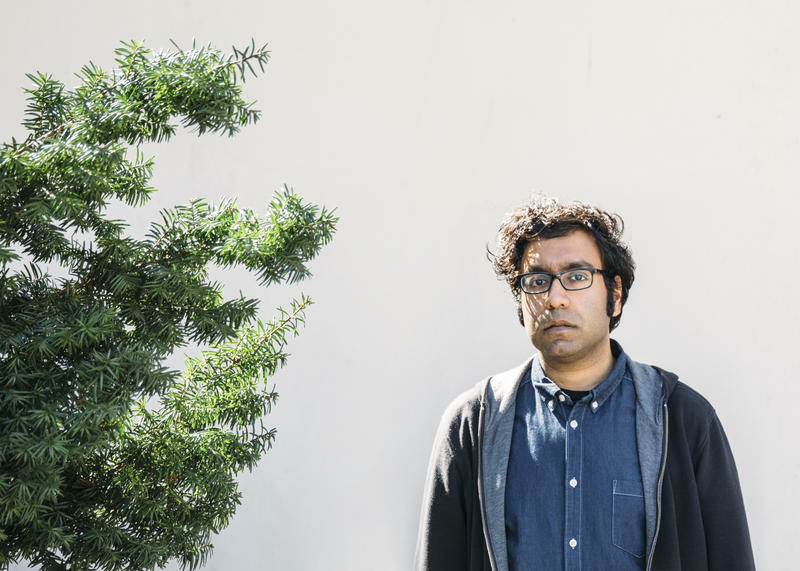 HOURS: Friday, April 6 and before and after shows.